An iron deficiency is the most common nutritional deficiency in the United States. Up to 30 percent of the world’s population are anemic, mainly due to low levels of iron. Women in their 30’s and 40’s are among those at greatest risk. Iron is an essential mineral which plays a role in many important physiological processes, such as cell growth and differentiation. Furthermore, iron is a critical part of hemoglobin, a protein that helps red blood cells transport oxygen throughout the body. Without proper oxygen transport, the whole body will suffer. Their findings were published recently in the scientific journal JAMA Otolaryngology-Head & Neck Surgery. While we usually associate hearing loss with age, loud music, or headphones, more people seem to be at risk. For their study, the Pennsylvania State University researchers analyzed over 300,000 U.S adults, aged between 21 and 90, with an average age of 50. They examined the prevalence of IDA combined with either sensorineural hearing loss (SNHL), conductive hearing loss, or a combination of the two. SNHL occurs as a result of damage to the inner ear or brain, or damage to the nerve that connects the two. Conductive hearing loss results from mechanical damage to the ear which prevents sounds to travel from the outer ear to the eardrum or middle ear. While it is too soon to tell if iron supplementation improves hearing, study author Kathleen Schieffer, a graduate student at the Pennsylvania State University College of Medicine in Hershey, said that they want to further investigate whether treating anemia will help improve or prevent hearing loss. The authors noted that the inner ear is very sensitive to changes in blood supply. So only a slight difference in the oxygen supply might affect the inner ear and cause hearing loss or deafness. 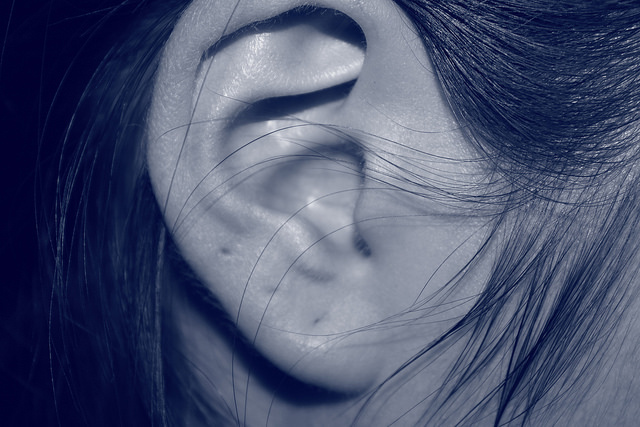 More research is needed to understand better whether screening and treatment of IDA could influence the overall health status of adults with hearing loss, said Schieffer. Ear-nose-and-throat specialist Peter Steyger of Oregon Health & Science University’s Oregon Hearing Research Center added that too little iron could disrupt the normal functioning of cells and even kill them. If the damage occurs in hair cells in the inner ear, the consequences are irreversible, leading to a permanent hearing loss. “A healthy well-balanced diet that meets the daily recommended intake of vitamins and other nutrients is crucial for everyone’s general physical well-being, as well as for optimal hearing health,” he said. Because iron deficiency anemia is a common and treatable condition, additional research may offer new possibilities for early identification and appropriate treatment. However, before you start popping iron supplements on a daily basis, note that too much iron can cause buildups that may damage the liver, heart, and pancreas. Damage to these vital organs may result in life-threatening conditions such as cancer, heart arrhythmias and cirrhosis of the liver. Find more news about preventing health problems at Prevention.news.